Johan and Peewit There are 17 products. 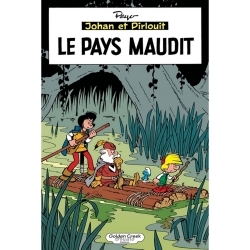 Collectible figure Johan and Peewit Like An Angel, exclusivity Zédibulle: Johan and Peewit on the raft, The Cursed Country. Limited edition and numbered 90 copies with certificate of authenticity. 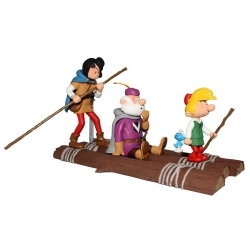 Collectible figurine Johan and Peewit, on the way by Pixi. Limited edition and numbered 200 copies with certificate of authenticity. 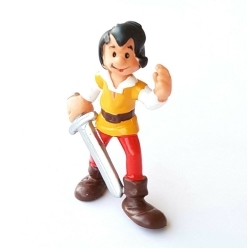 Height: 8cm. 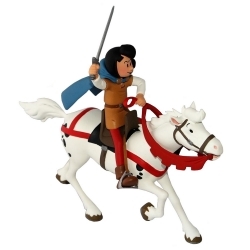 The Smurfs PVC Schleich Figure: Johan with his sword. 7cm. 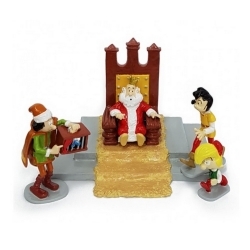 Each figure is made of high-quality plastic, meticulously detailed and hand-painted. 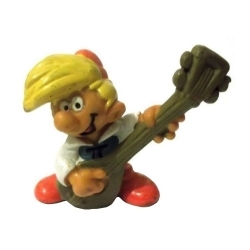 The Smurfs PVC Schleich Figure: Peewit playing the lute. 5,5cm. 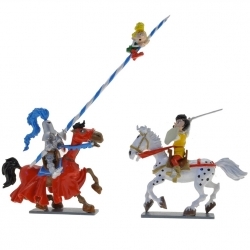 Each figure is made of high-quality plastic, meticulously detailed and hand-painted. 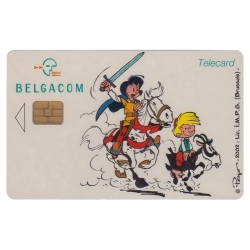 Real Belgian Phone Card Johan and Peewit (Belgacom company). Delivered in a printed cardboard booklet, with a landscape format, that opens like a book. Limited edition and numbered 1000 copies with certificate of authenticity. 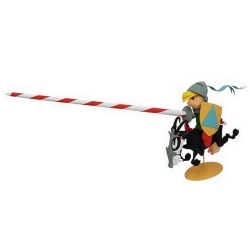 Collectible Figure Johan and Peewit The Black Arrow by Fariboles. 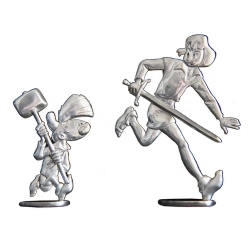 Numbered and limited to 250 copies. 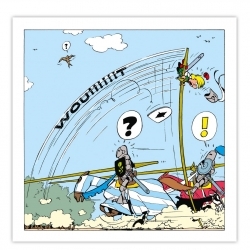 The Black Arrow is the 7th Johan and Peewit comic book created by Peyo in 1957. 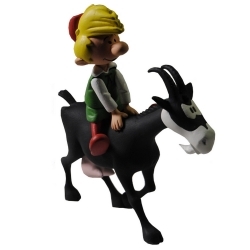 Collectible figure Johan and Peewit Like An Angel, exclusivity Zédibulle: Johan and his horse. Limited edition and numbered 90 copies with certificate of authenticity. 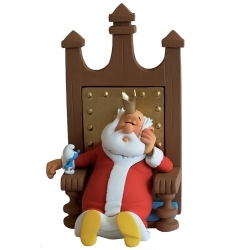 Collectible figure Johan and Peewit Like An Angel, exclusivity Zédibulle: Peewit and Biquette. Limited edition and numbered 90 copies with certificate of authenticity. 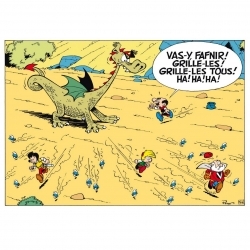 Johan and Peewit: Fafnir. Printed linen unframed canvas Les Editions du Grand Vingtième, made in Belgium. Dimensions: 100x70cm. Limited edition of 40 copies, with numbered certificate of authenticity. Unframed canvas, delivered rolled into a decorated tube. 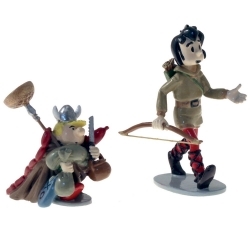 Collectible Figure Johan and Peewit The Black Arrow by Pixi. Numbered and limited to 300 copies. 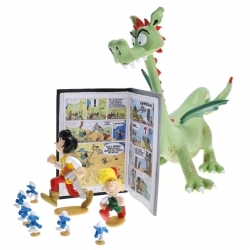 The Black Arrow is the 7th Johan and Peewit comic book created by Peyo in 1957. 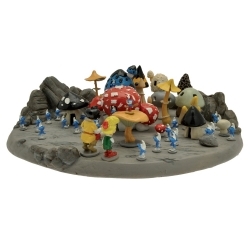 Collectible figure Johan and Peewit with Smurfs The Cursed Country by Pixi. Numbered and limited to 400 copies.